The citizens of Oslo were treated to a fun surprise when this year’s city bikes arrived for the season. 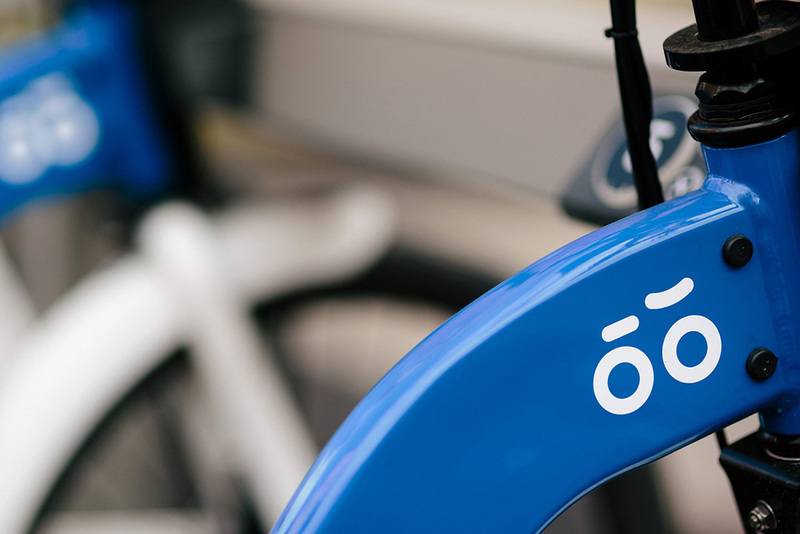 Heydays, a design agency based in Oslo, created the identity on commission from Urban Infrastructure Partner, in collaboration with developers at Tight and product designers at Sharebike. The team developed a logo with a concept they believe solves the task in a nice way. The new narrative behind the identity is about making service a little smarter, with a helpful and friendly face, without it necessarily being more complex in use or in communication. "Both the service, the app and the web is still in its early stages and will gradually change over the next few months. Towards the summer it will be fully developed and we look forward to seeing the project in its entirety", says Mathias Haddal Hovet, General Manager and Partner at Heydays. Haddal Hovet says it was important for them to find an expression with some of the same simplicity as other public transport services in the city. "In this case it’s not a commercial item that you buy, but something that makes the town more smooth and enjoyable to use, every single day, to and from work or school." To balance the simple expression, yet retain the same opportunities to communicate different emotions, it was important to make the identity come alive. "We talk a lot about elasticity when developing identities and this is a good example of it. At Heydays we often work as an integral part of the product development team. The result is often better when several specialized teams collaborate. At least we understand the service and its long-term perspective in a completely different way", Haddal Hovet concludes.